​Here's our variation…It was very well received and we hope you ENJOY!! Place Casserole dish with 3 Tbsp butter in the oven to melt. Once melted, remove and add 2 Tbsp Worcestershire and spices. Now add in your snack mix. Gently turn, allowing to coat all the pieces. Return Casserole dish to oven. Allow to cool completely and serve! *I stored our Chex mix in a wax paper lined Christmas tin, in the fridge. 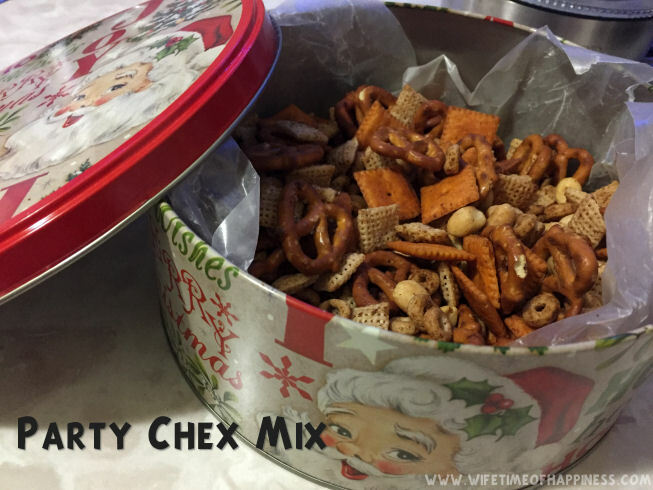 This entry was posted in Recipes and tagged chex mix, chex mix recipe, chex recipe, christmas chex, christmas chex mix, christmas chex mix recipe, easy chex mix, easy chex mix recipe, how to make chex mix, what in chex mix.